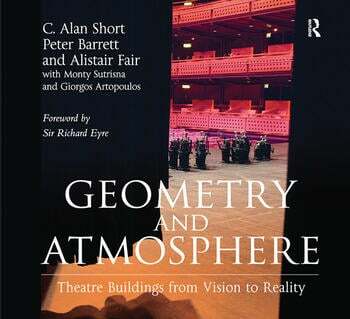 Drawing on detailed design, construction and financial histories of six prominent Performing Arts buildings with budgets ranging from Â£3.4 million to over Â£100 million, Geometry and Atmosphere presents unique and valuable insights into the complex process of building for the arts. Each theatre project, from tailor-made spaces for avant-garde companies to iconic and innovative receiving houses, yields surprising and counter-intuitive findings. For each of the six projects, the authors have interviewed all those involved. Combining these interviews with exhaustive archival research, the authors then provide cross-case analysis which is distilled into guidance for all stakeholders as they transform their initial vision into built reality. In particular, the book challenges the technical focus of existing design guides for the Performing Arts by suggesting that current practice in briefing and design does not serve the Arts community especially well. It shows that there is a need for an approach in which the focus is firmly rooted in the delivery of the driving artistic vision. As well as being of interest to architects, urban designers and those involved in theatre studies, this book will be useful to other sectors where public money is spent on major building projects. Contents: Foreword; Introduction, Alan Short and Alistair Fair; 'Almost as important as jobs, housing and education': the context of the publicly funded arts in Britain, Alistair Fair; 'A means of unlocking future opportunity': The Lowry, Salford, Alan Short; 'Defining the essence of the organization through architecture' Contact Theatre, Manchester, Alan Short; 'An exercise in knowing abstemiousness': Poole Arts Centre - 'The Lighthouse', Alan Short and Peter Barrett; 'Making something extraordinary'; Belgrade II, Coventry, Alistair Fair; 'Turn the theatre inside out': Curve, Leicester, Alan Short; 'So fabulously theatrical you can almost chew on it': Hackney Empire, Alan Short and Alistair Fair; 'Many a theatrical scheme has come to grief because it put bricks and mortar before drama': some familiar issues, 1926-1996, Alistair Fair; An architect's photographic view: the design and life of the theatres, Giorgos Artopoulos; Emerging themes, Peter Barrett and Monty Sutrisna; The internal dynamics of the projects, Peter Barrett and Monty Sutrisna; Conclusions, The Research Team; Select bibliography; Index. Alan Short is Head of the Department of Architecture at the University of Cambridge, UK and is also the Principle of Short & Associates architectural practice. Peter Barrett is Pro-Vice Chancellor for Research and Graduate Studies at the University of Salford, UK. He is also Chairman of SCRI and an active member of the International Council for Research and Innovation in Building and Construction. Alistair Fair is a Chancellor’s Fellow in the School of Architecture and Landscape Architecture at the University of Edinburgh.